Car advice columns get plenty of questions about the Check Engine light — it tends to come on for all kinds of obscure reasons. A malfunctioning oxygen sensor is one of them. Many drivers know that cars have oxygen sensors but understand little more about it. Along with a loose fuel tank cap, a malfunctioning oxygen sensor is one of the most common causes of Check Engine light problems. Luckily, bad oxygen sensors are within the reach of the average DIY enthusiast. When you’re done, your car will actually use less gas. First things first – how do you know that it’s the oxygen sensor? 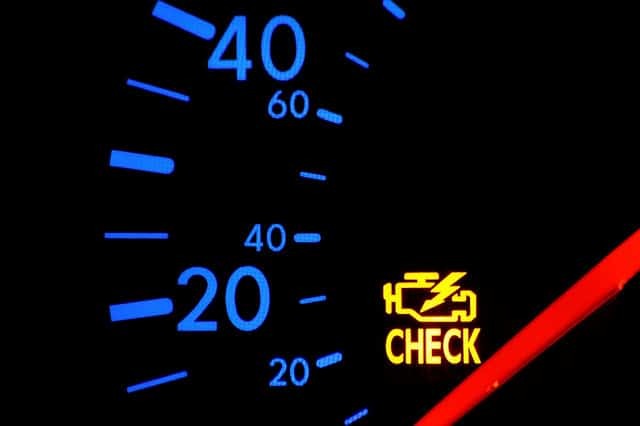 The OBD (On Board Diagnostics) on your car can light up the Check Engine indicator for thousands of reasons. To know what exactly it is in a given instance, you need to get a diagnostics code reader for about $50 to $100. When you plug it into the appropriate port under the hood, you get the diagnostic reading. How exactly does a faulty oxygen sensor hurt you? Cars began to get oxygen sensors around 1985 as part of new emissions control laws. These sensors are little devices that look like spark plugs. They screw right into your car’s exhaust system, where they sample the exhaust for oxygen content. Depending on how much oxygen there is, they send information to the engine computer to raise or lower the amount of fuel to be supplied to the cylinders. Faulty oxygen sensors don’t feel like anything — you can usually continue to drive the car with no perceptible problems. Unknown to you, though, the problem can raise your fuel consumption by up to 40% by causing your car to take in too much gas. Why do these sensors fail? Oxygen sensors can fail for a number of reasons. While they are supposed to last as long as 100,000 miles, they often get fouled up far sooner through exposure to droplets of oil in the exhaust or fuel additives. Buying a new sensor usually costs around $150. If your car is out of warranty, you might attempt an oxygen sensor replacement project by yourself. You do need to keep in mind, though, that these projects can easily get very complicated. For instance, if you have an old Lexus from the 90s, the oxygen sensor is usually in a part of the exhaust that isn’t easily accessible. You need to tear down some of it to even access it. You may experience a different kind of problem in other cars — currently available oxygen sensors may not fit. You may need to get them to fit by installing a bracket. Simple mechanical problems abound throughout. Even if you can access your oxygen sensor easily and already have a perfect replacement part on hand, old units tend to be seized in place through years of exposure to heat and gunk. You can have a very difficult time dislodging them. You’ll need to spray lubricant close to the threads and try your best to unscrew them. Most cars have between 2 and 4 sensors. Working on all these can be a huge amount of trouble. The access and parts compatibility problems aren’t the only sources of trouble, either. Even when your diagnostics tool does tell you that the sensor is the problem, it can be something else. A professional garage is likely to have access to sophisticated diagnostics computers that are able to look at a car’s engine in real time as it works, to find out if it is indeed the sensor that is the problem. It could simply be a broken wire leading up to the sensor, rather than the sensor itself. It could also be a broken vacuum hose in the engine — an unrelated problem. You get to wash your hands of all kinds of sticky DIY problems when you simply take your car to a good mechanic. In addition to the cost of the sensors, labor is likely to only cost around $200 for a multiple-sensor job. Nevertheless, many inexperienced DIY enthusiasts are usually able to swap out their oxygen sensors on their own. If you have the stomach for a bit of a detailed work, oxygen sensor replacement usually takes no more than a day.